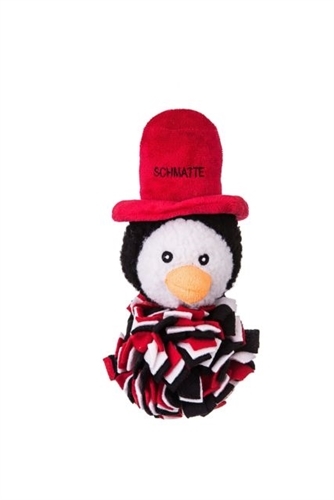 Soft chew toy penguin dressed in tatters - a schmatte! Made of polyester plush and fiberfill. Lots of fun for your dog!